The mayor of Brockton has announced a plan to improve safety for those walking in the city. The city has seen an increase in pedestrian accidents, which have recently killed 8 pedestrians and injured 75 others. Seven of the eight pedestrian deaths have occurred since August 12. Two victims were children, and in one case, police are still searching for the hit-and-run driver. In 2013, the city saw one fatal pedestrian accident. Mayor Bill Carpenter proposed the safety plan on Monday, which draws on resources from a number of state and local agencies, including the Massachusetts State Police, Brockton Police, the city’s Board of Health, the Massachusetts Department of Transportation, the Safe Routes Alliance and Brockton Area Transit. His plan will focus on three areas: engineering, enforcement and education. Some of the measures still require approval from the city Finance Committee. Educational Awareness Campaign. The city will launch a pedestrian safety awareness campaign to educate both drivers and pedestrians. One focus will be to reduce use of electronic devices and cell phones by everyone on the road. Public service announcements, video documentaries and other safety materials will be introduced to students in Brockton Public Schools. Increased Walking Patrols. These will be expanded in high-traffic areas, to allow officers to provide pedestrians and cyclists with safety information when they put themselves in harm’s way. Increased Traffic Patrols in High-Crash Areas. The Massachusetts State Police will work with Brockton to increase patrols in high traffic areas. Scarecrow Patrol Cars. Brockton Police will deploy “scarecrow” cruisers at some dangerous intersections. These have no officers, but are meant to put drivers who do not know that on alert. Clearing Sidewalks. The city’s Board of Health will conduct enforcement to make sure sidewalks are clear and can be safely used by pedestrians. Traffic Signals. The city will consider adding pedestrian countdown features to the traffic signals on Belmont Street. At the same time, the Mass Department of Transportation is now conducting a review of traffic signals across the city. 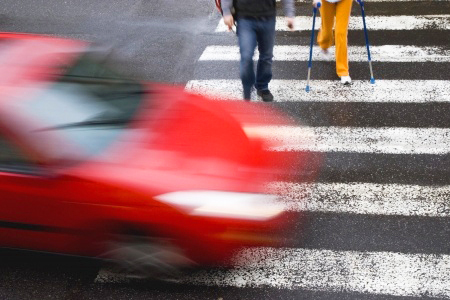 Brockton is not the only community which has seen an increase in pedestrian accidents. Nationwide, fatal pedestrian accidents increased 6 percent from 2011 to 2012, according to the National Highway Traffic Safety Administration’s most recent figures. More than 33,000 were killed or about one every two hours. Cyclist accidents are also on the rise, with a 16 percent increase from 2010 to 2012, according to the Governors Highway Safety Administration. The Boston personal injury lawyers at Breakstone, White & Gluck have over 100 years combined experience representing clients who have been seriously injured in motor vehicle accidents. If you or a family member has been seriously injured, it is important to learn your rights. For a free legal consultation, contact us at 800-379-1244 or 617-723-7676 or use our contact form.